During the process of German Reunification, Jürgen Bergmann started his own carpentry company north of Görlitz which mainly builds playgrounds. 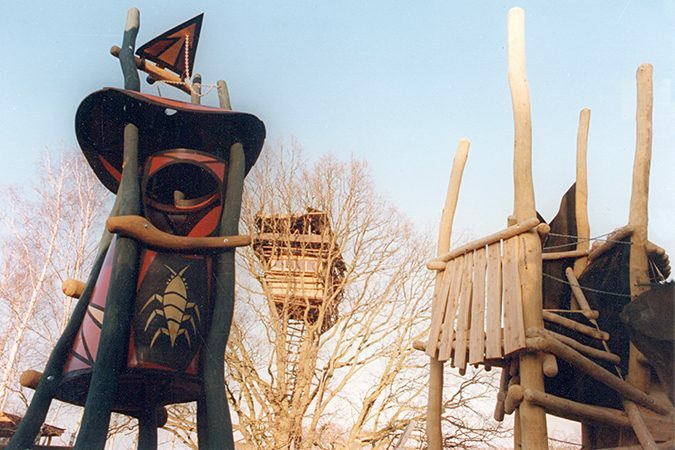 When he put some of his highly imaginative structures on display next to his workshop, the Kulturinsel Einsiedel was born which has involved into a large and ever-growing adventure playground. In 2005 and 2008, tree houses were built with hotel rooms and apartments which are very much in demand. 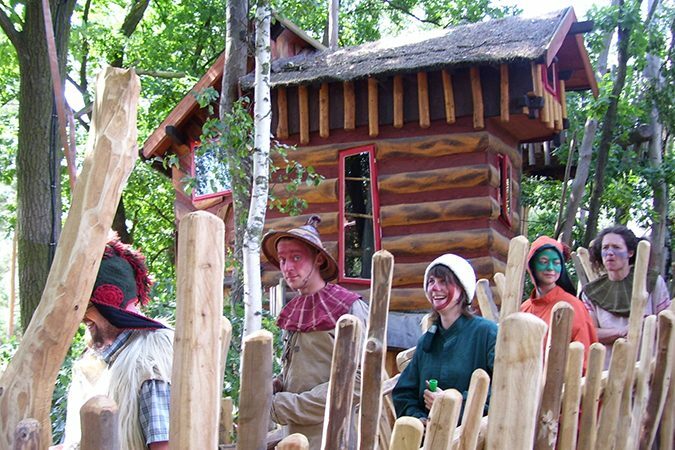 There are also many events throughout the year, among them the “Folklorum”, the second largest festivals for folk music and folk dance in Germany. The large number of industrial buildings no longer in use has proved to be beneficial. There have been many ways of breathing new life into these structures. 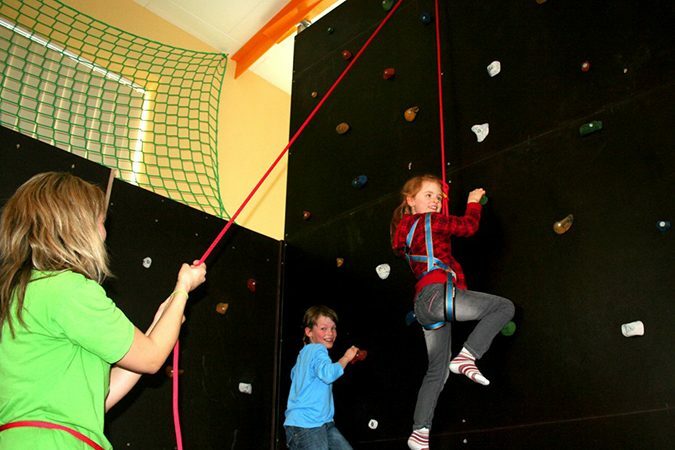 Three of them have been turned into indoor adventure playgrounds: The “KISPI “ in Grünbach in the Vogtland region, the “Stockhausen” in Olbernhau in the Ore Mountains and the “Remmi Demmi” in Bannewitz near Dresden. So now it is easy to play when the weather does not allow use of the many outdoor playgrounds in Saxony.